Even when we need some extra stability, we can still get out and enjoy the sense of freedom we felt that first time riding a bike. 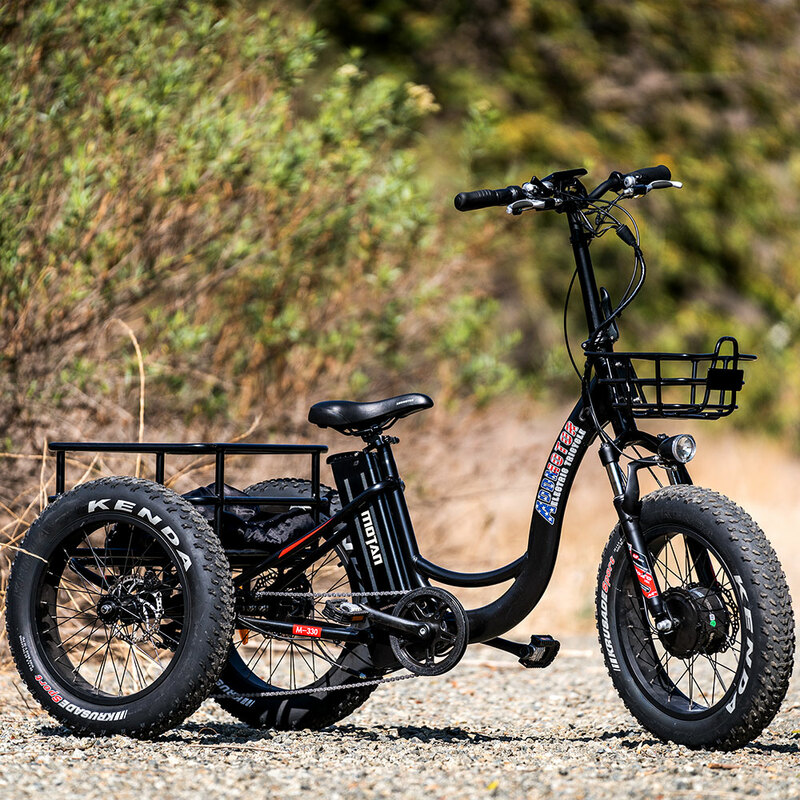 Wind in the face, fresh air and the ability to go anywhere — that’s the promise of the MOTAN M-330 electric trike. 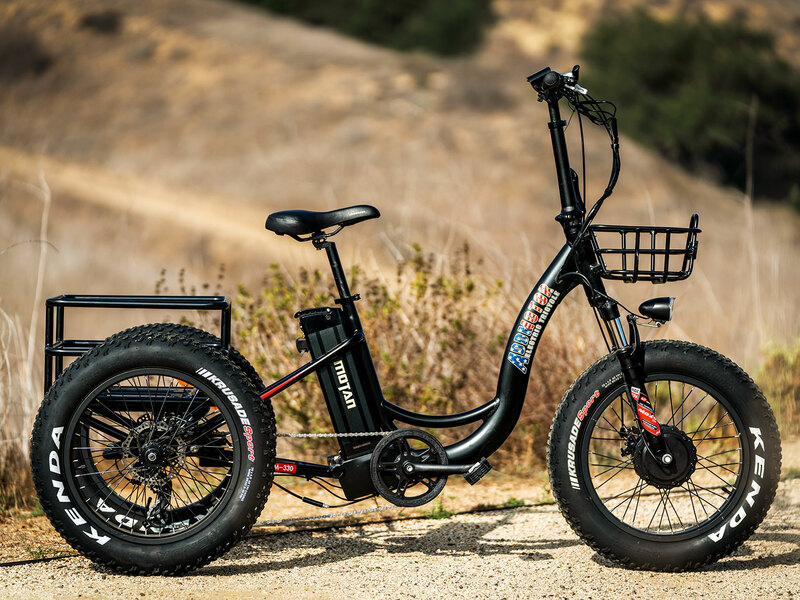 The powerful Bafang motor electric system to assist your pedaling will have you traveling farther and faster than you have in years. 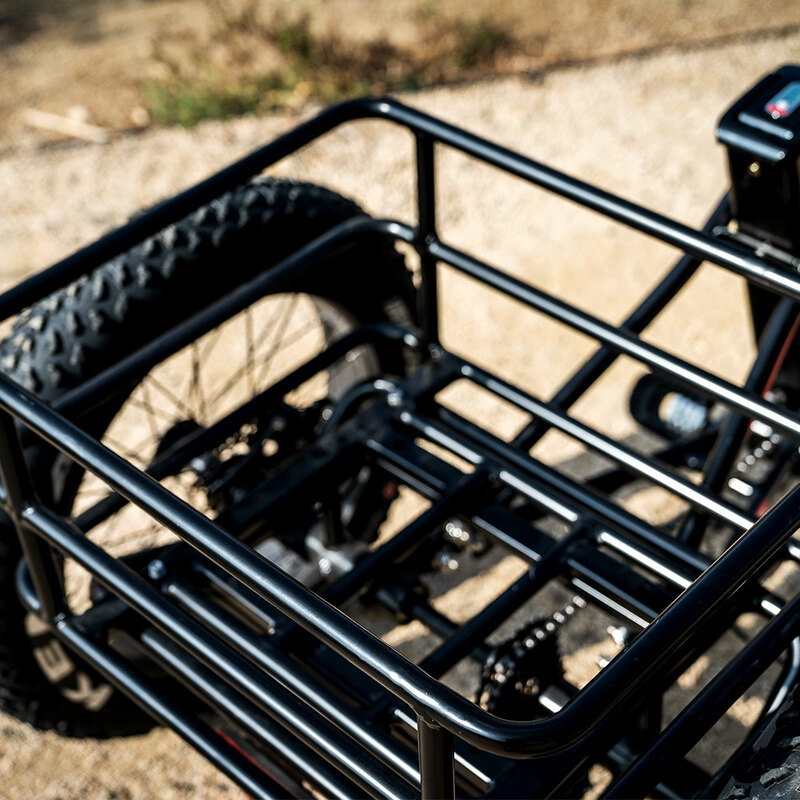 The three-wheel stability and front-rear-mounted cargo basket give you the tools you need to get you where you’re going, easily and with peace of mind. For seniors, those who may experience issue with balance, or the one who with some physical issue to continue riding, MOTAN M-330 is the best electric trike for them to enjoy the freedom and fun. * LARGE MOTOE TO HAUL BIG LOAD. 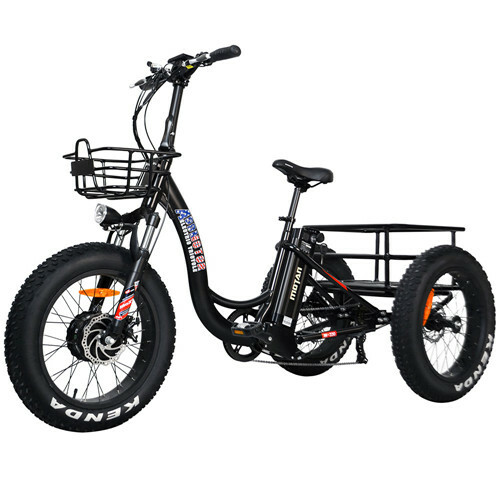 Addmotor New Design M-330 Electric Trike is equipped with super 500 watt hub brushless motor that perfect for any rider who needs to haul big loads or wants extra support when it's difficult to balance. Pedal or Power. You will find cycling has never been this much fun or this convenient. * GIVE YOU A HAND IN DAILY LIFE.If you are looking for an electric trike, this one is for you! Enjoy the freedom of riding long distances, while pedaling for exercise. Electric assistance is available for adult riders, too! * LARGE CAPACITY RACK.Both the electric trike's front basket and large capacity rear rack will very capably meet your needs.This electric trike bike is absolutely "eye" candy!You can't complete a ride without being stopped by numerous curious people.When you ride it，you can't wipe this grin off your face. * LOW STEP THROUGH FRAME Makes it easier to get on and off the trike! Makes mounting and dismounting easy! * Rear wheels come with double disc brakes,there will be more secure for the rider. * Front and rear baskets have been upgraded for greater capacity and stability. It's 4" larger than the old vrsion. *Integrated power taillight works just like the headlight and can be seen on the display.Riders can feel safe and secure with a working taillight.Enjoy all the features of a bike, including convenient storage and the option of choosing pedal or electric power. The frame is strong and stable to hit the trail as well as lightweight to be transported and stored easily.